You see the victims everywhere: achy, lethargic bodies with watery eyes, all hunched over, coughing and sneezing into their elbows. That’s why you spend most of this horrific season on high alert doing what you can to shield your home from those microscopic menaces. 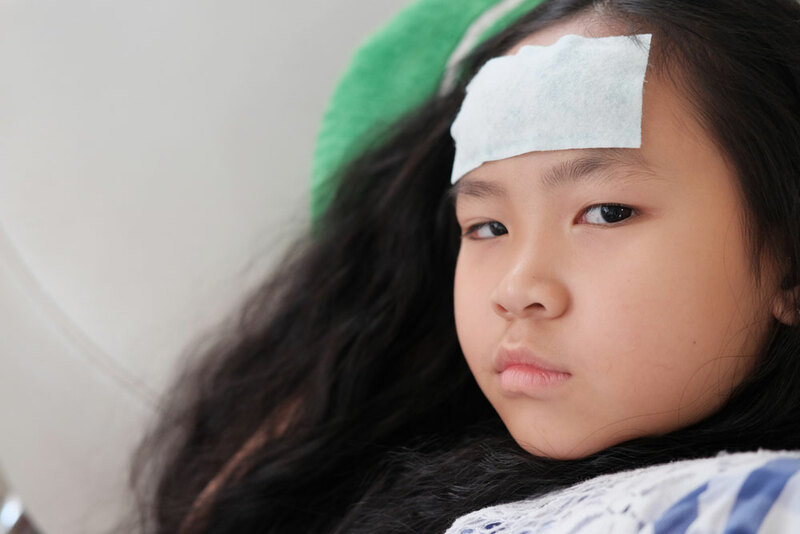 You pack Purell in school lunch boxes, forbid from stepping foot through your door any visitor whose body temperature isn’t a strict 98.6 degrees, and disinfect every surface until surgery could be performed on your countertops. But no matter how hard you “Silkwood shower” your home, you know it’s just a matter of time before you get a call from your kid’s school asking you to pick up your child because she’s sick. Then you spend the next couple of days dragging her to the pediatrician’s office for a strep test and your nights holding a sick bowl. Yup, it’s horrible when your kids get sick. But it’s nothing compared to the utter disruption that results when you are the one who’s under the weather. True, we Solo Moms can plow through most bugs without missing a carpool or homework check. But when the big one hits, and bed rest is a must, it’s a disaster of epic proportion. All you want to do is crawl under the covers and have your mommy take care of you, but you’re the mommy now, and your responsibilities don’t stop because you have [insert an array of yucky symptoms here]. So, how do you deal with the disaster of getting sick? Like any other emergency: with a preparation kit, of course! Right now, before you feel that first tickle in the back of your throat or that first wave of nausea, get the necessary tools to survive this natural disaster. 1. Stock up on your kid’s favorite frozen foods from breakfast through dinner. If you’re big on homemade foods, fine—freeze several days’ worth so you don’t have to even deal with cooking meals for your tots. Breakfast burritos are a great choice because they work for breakfast or dinner. Prep smoothies ahead for after-school snacks. You can even freeze PB&J sandwiches and just pop them into lunch boxes, or Thermos-sized portions of mac and cheese or pasta, and just give them a quick nuke in the morning before popping them in the Thermos. 2. Stock the fridge with comfort food for you as well. Get some real chicken soup from the deli and freeze it. Stick some ginger ale in the back of the fridge for your future sensitive stomach. Store saltines in the back of the cabinet. Think of what comforts you when you’re sick, and be sure to have some on hand. 3. Stay in bed. You’ll never get better when you have to drive your kids around all the livelong day to school and their endless after-school activities. Stay in bed, and let technology do the driving for you. Although your kids are too young to take Uber and Lyft without an adult, there are several new services that combine driving and child care—HopSkipDrive is a great one if you live on the West Coast. These services are great because they combine the duties of both chauffeur and caregiver. 4. Forget lugging your sick self to the doctor. Now the doctor comes to you . . . through cyberspace, anyway. Yes, now you can see a doctor from the convenience of your own bed! Do your research now, and see if there’s a service that’s covered by your insurance and create an account. Each session lasts about 10 to 15 minutes, and these cyberdoctors can even prescribe medications. Combine that with a pharmacy that delivers, and you’re halfway to healthy. 5. Have a few emergency items on hand for the kids. Evenings are the worst. All you want is to crawl into bed, and all your kids want is your attention—bad mix! Be guaranteed a few hours of alone time by hiding a few emergency items now. Stock away a few toys, books, DVDs, or video games that you can give to your kids when your fever spikes. Be sure to focus on items that they can play independently and will entertain them for a couple of hours. By taking these steps now, you’ll be able to take care of yourself better and be back on your feet in no time—back to the carpools and errands and discipline problems and all the other things that fill your day! Or, you could just pretend you’re still sick and lounge in bed for one glorious day and binge-watch The Crown while making those frozen smoothies! Your secret is safe with me! Here’s to a happy and healthy cold and flu season.